Supplement New Life with Liver! Hello there, expecting mothers! Did you know that grass-fed beef liver is a great choice to add to your diet while your little one is developing in the womb? That’s right! beef liver is highly concentrated with vitamins and nutrients that are essential for the proper development of your baby. This important B-complex vitamin is greatly needed in the early stages of pregnancy to prevent birth defects such as tongue and lip tie, spinal bifida, and neural tube defects. 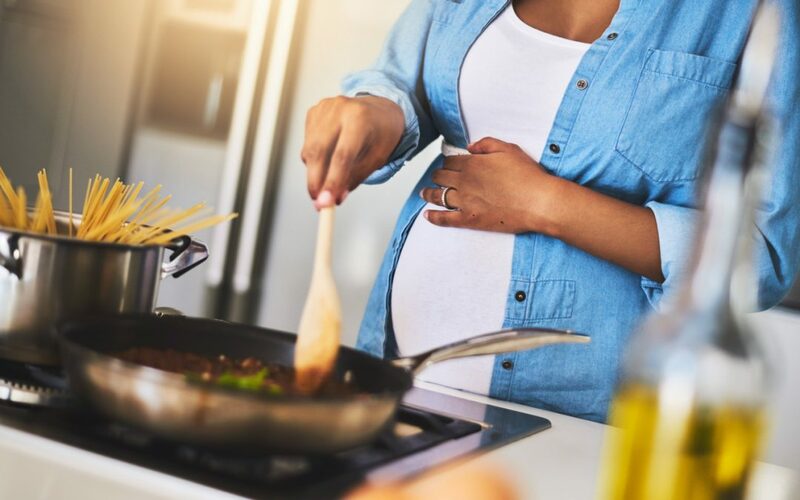 Many prenatal vitamin supplements use the synthetic version called folic acid, but recent studies have shown that natural folate is more easily absorbed, and more effective. You can receive more folate from a moderate helping of grass-fed beef liver than from nearly any other food on the planet! Eating a 3.5 oz. serving provides 65% of the recommended daily value! By the end of pregnancy’s third trimester, a woman’s body has increased the amount of blood in her cardio circulation by 45%; that’s a lot of work! Of course, it takes a good supply of iron to make all those extra red blood cells; that’s where beef liver comes in. Grass-fed beef liver is a great source of easily-absorbable iron that can nourish your body during the nine months of pregnancy. Proteins are what the body uses to build pretty much everything! Eating large amounts of protein helps boost metabolism, and gives you what you need to grow a strong healthy baby. Grass-fed beef liver contains an unusually large amount of high-quality protein, and provides essential amino acids! Beef liver actually has so many vitamins in high doses (vitamin A for example) that it shouldn’t be eaten regularly in large portions if you’re pregnant. However, small servings once or twice a week are a great way to safely supplement your pregnancy. Come visit us at Rafter W Ranch, and check out our selection of non-GMO grass-fed products!